For generations, Amish Shaker furniture has been synonymous with quality and craftsmanship. 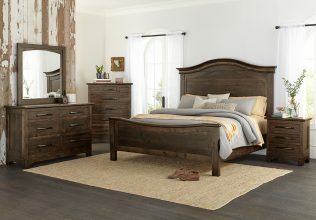 At AmishOutletStore.com, our goal is to give consumers a convenient alternative to pre-made furniture by bringing you a wide selection of traditionally crafted bedroom sets and collections, made here in the USA by expert artisans who have spent years honing their craft. 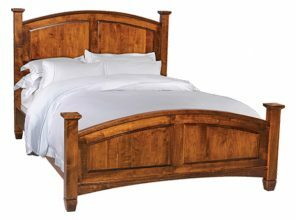 As the leading Amish furniture outlet online, we have one of the largest selections of solid wood bedroom furniture. Browse our inventory of old-fashioned bedroom sets and individual pieces below. Why Should I Buy Solid Wood Bedroom Furniture? Solid wood Amish bedroom furniture is a premium product designed for people who value quality and classic styling over disposability. By investing in our high quality furniture, you’ll be getting something that will last for many, many years to come. What’s more, the timeless and understated elegance of our Shaker- and Mission-inspired designs will never go out of style. With a wide range of customization options, including multiple stain and upholstery choices, you’re sure to find a piece that appeals to you. You want to invest in a piece that will last a lifetime — one that you can pass on to future generations, if you’re so inclined. You want to support real American artisans rather than companies that outsource the manufacture of their products to overseas production facilities with questionable ethical standards. You believe in investing in quality — not buying the latest trendy design that will go out of style in a year or two. You want a product crafted from natural materials using traditional handmade production techniques. 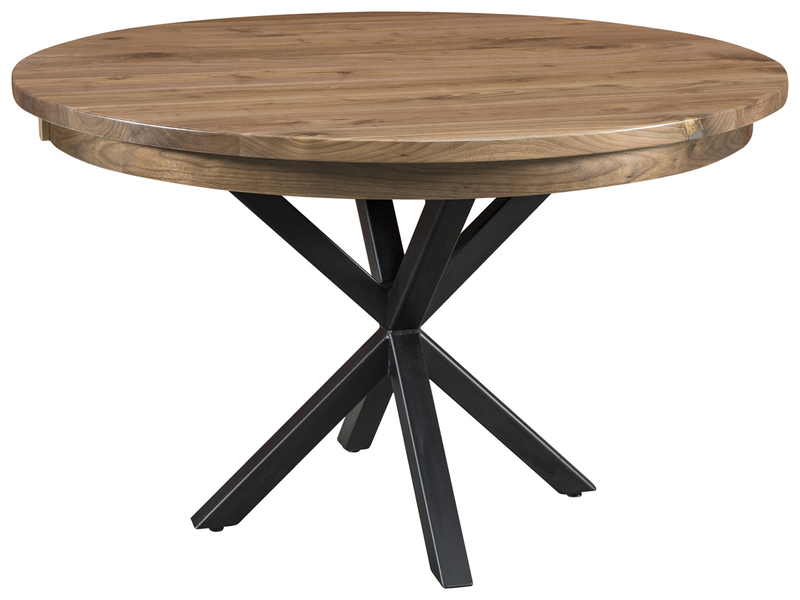 You want a piece that’s uniquely yours, rather than the same mass-produced furniture that can be found in every other home. These are so many reasons why discerning customers are turning to solid wood Amish furniture for their bedrooms and throughout their homes. Keep reading to learn more, or contact our office for assistance choosing from our many bedroom sets and collections. Contact Us for assistance in choosing your new bedroom furniture! 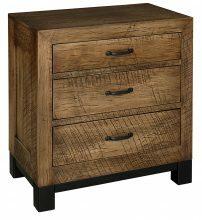 While many of our pieces make excellent accents that can complement your existing decor, choosing a complete set of Amish Shaker furniture is the best way to put together the bedroom of your dreams. Plus, we also offer discounts of up to 13% for larger orders paid by check — that’s in addition to our everyday low pricing of as much as 33% below retail. What are the essentials? A bedroom can simply be a place to lay your head at night, or it can be somewhere to linger and spend the whole day. At the very least, a bed and bedside table are essential elements. You may wish to add a dressing table, armoire, blanket chest and more. Because all our furniture is made-to-order, sets and collections can be customized to meet the specific needs of your space. Is it okay to mix and match? Your bedroom is your private space and, ultimately, you’re the one who decides what works. Mixing colors and styles is a great way to put your own unique touch on your bedroom. That being said, most interior designers recommend keeping one or two common threads running throughout a room. This is often done by having a color or finish element shared by several pieces that brings a sense of harmony to an otherwise eclectic space. What are the best stains? All our hardwood bedroom furniture can be customized with a wide range of stains. Generally, lighter stains make a room feel brighter and more open. On the other hand, in an already airy room, a darker stained bed or nightstand can add an interesting element of contrast that prevents the space from feeling monotonous. The judicious use of a few contrasting/complementary colors can be a great way to get the best of both worlds. Got a specific question about any of our products, or need help putting together a complete custom bedroom set of handcrafted wood furniture? Give us a call or email our team today! Look for unique storage solutions that free up wall space. If you don’t have a closet, keep unused items under the bed or in other another room. Armoires can be a great place to keep clothes, but they often block out natural light, making your room seem smaller. Consider smaller-footprint alternatives such as traditional cedar-lined blanket chests, which have the additional benefit of being a natural moth repellent. Design your room to minimize clutter. Nothing makes a room feel smaller than clutter. The right bedroom furniture should provide you with ample, accessible storage space that makes staying tidy easy. A dressing table or nightstand with built-in drawers offers a convenient space for storing miscellaneous knickknacks that would otherwise clutter up your room. Use color strategically. We’ve already mentioned that brighter, lighter colors make a room feel more open. You can also use color to draw the eye in ways that create the illusion of space. Painting or using patterned wallpaper on the ceiling, for example, will make your room seem taller. Break up your room using lights and carpeting. Ditch wall-to-wall carpeting and ceiling lighting in favor of throw rugs and lamps. This will make your room feel bigger by separating it into different zones, without the use of physical barriers. Whether your bedroom is large or small, there’s a place in it for our handcrafted hardwood furniture. Discover for yourself why we’re the serious choice among bedroom furniture outlets by browsing our inventory today. Better yet, contact our office directly for in-person assistance from a member of our team.